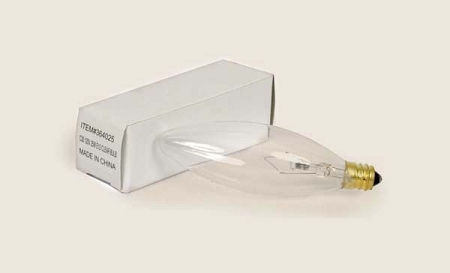 25 Watt Torpedo Light Bulb. Box of 1. Candelabra base.